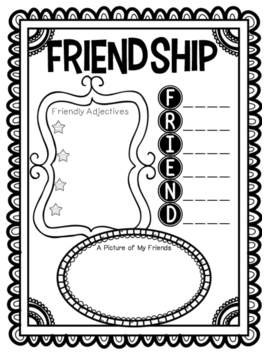 This mini pack is the perfect way to teach the importance of KINDNESS and being a good friend. This pack includes a mini-book on friendship. It's the perfect close read, read aloud, or independent reading book for students. The pack also includes several different activities that can be done independently as a comprehension activities, or during a whole group lesson.